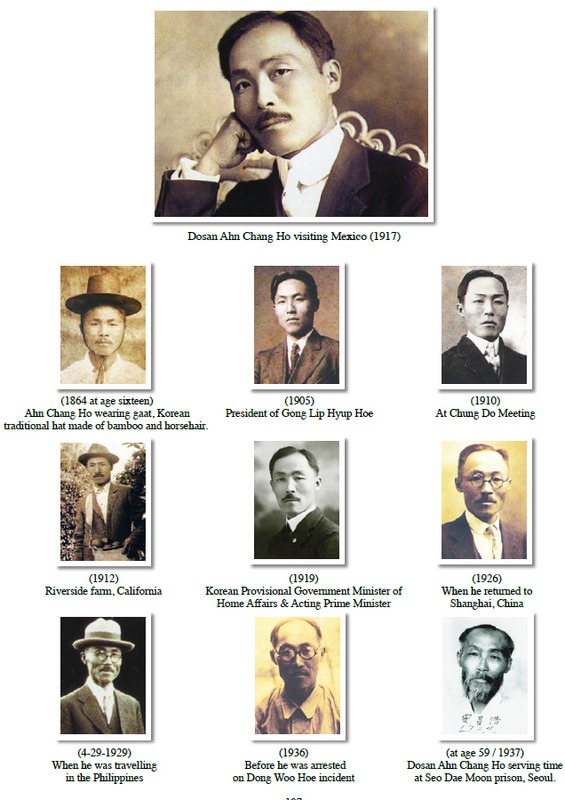 Dosan Ahn Chang Ho: He was a doyen of prominence in the Korean national independence movement in the United States and a towering mentor for entire Koreans. Southern California is Dosan Ahn Chang Ho’s familiar turf where it exuded, indubitably, the strong fragrance of a perfume called his unwavering patriotism of Korea. 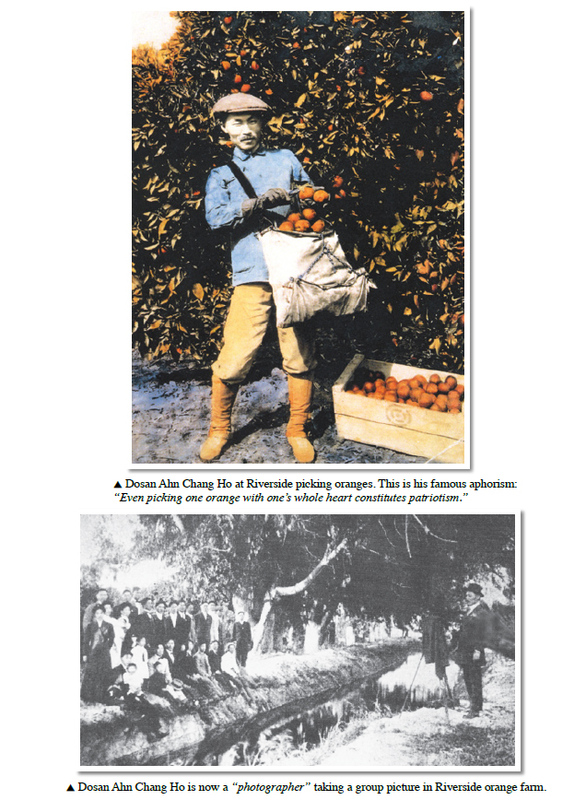 Doing menial work like picking oranges in Riverside, he dreamed of Hung Sa Dahn. His indefatigable spirit of fulfilling Korean national independence had his bronze statue placed in the same spot there. The Korean National Association he founded in 1909 is still in high gear to manifest his life of integrity and vision for the Korean people. The time Dosan Ahn Chang Ho spent in Los Angeles with his wife Lee, Hae-ryun and five children was thirteen years and two months in all. His proud descendants still carry on his spirit of Korean independence. Dosan emphasized that ‘even picking one orange with one’s whole heart constitutes patriotism.’ He was a full-fledged national activist for Korean independence when he famously said ‘whether I eat or sleep, my single-minded vision is Korean independence.’ This is all about Dosan Ahn Chang Ho! His calling was to be a fervent Korean independence movement leader. In 1905, Dosan founded Gong Lip Hyup Hoe, an independence organization, in San Francisco. In 1909, he gave rise to the Korean National Association for carrying on a role for the Provisional Government and he actively created Hung Sa Dahn in 1913. He also assisted in setting up the Korean Patriotic Women’s League in Dinuba, Central California. Dosan Ahn Chang Ho’s conviction of restoring Korean sovereignty stemmed from training of the masses: the Koreans. The late professor of philosophy Ahn, Byung-wook of Soong Sil University in South Korea once epitomized Dosan this way: “His heart was full of burning patriotism. His head embraces a perspicuous Korean self-determination. His face put on a heart- warming affection. His hands practice nothing but the loyalty and uprightness. His feet are covered with dedicated service for his fellow Koreans. His eyes can fathom profundity for the next one hundred years’ master plan of Koreans. His lips are filled with the word of truth. His ears carried none other than a sagacity to humbly hear the beats of Korean history.” Dosan Ahn Chang Ho and Lee, Hae-ryun had three sons and two daughters: Philip, Philsun, Ralph, Susan and Surah. Dosan is survived by four generations in Los Angeles. Dosan’s affection of country, unwavering spirit of national independence and his progressive vision of Hung Sa Dahn all move on for another one hundred years. Dosan’s heart-felt teachings of a smiling society where “falsity will never be tolerated” shall be a historical mission for the Korean society today. A lofty effort to expedite the territorial unification will complete Dosan Ahn Chang Ho’s dream and spirit of Korean national independence in the end. A thumbnail personal biographic profile and brief chronology show his utmost dedication and unwavering contribution for Korean national independence: In 1894, Dosan studied at Goo Sae School; and for his study and effort, Yonsei University in Seoul recently issued an honorary diploma. In 1898, he joined Dok Lip Hyup Hoe and he opened a school in a remote village. In 1902, he came to the United States to study, and in Los Angeles he organized a Hanin Chinmok Hoe and was elected as its president. In 1905, he upgraded this Hanin Chinmok Hoe to be Gong Lip Hyup Hoe and chosen as its first president including Gong Lip Newspaper. In 1907, he covertly set up Shin Min Hoe and opened Dae Sung School for people’s general enlightenment and education. He was incarcerated for several months for an alleged suspicion over patriot Ahn, Jung-geun case. When the Japanese government offered a political deal, Dosan flatly and quickly rejected it and went into exile in China. He returned back to San Francisco in 1912 to organize the Central Congress of the Korean National Association. At this time, Dosan actively organized Hung Sa Dahn to revitalize Korean spiritual revival and transformation stressing loyalty, honesty, wholesome personal character and unity training. In 1919, he sponsored a Korean national convention to send a representative to a Peace Conference in Paris and when the March First Independence Movement erupted, the Korean Provisional Government was established and Dosan was chosen to be the Minister of Home Affairs, the acting Prime Minister, and the Minister of Labor. During this time, Dosan had published four volumes of Korea-Japan relation documents. In 1920, he initiated Heung Sa Dahn to appeal unity of Koreans for the eventual Korean independence and his policy for such endeavor was based upon Six Movements: military, diplomacy, finance, culture, industry and unification areas. 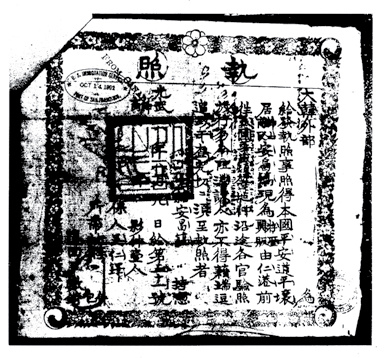 After opening a Dong Myung School in Nanjing, he returned to America. In 1931, he was elected as president of Hung Sa Dahn. He stressed the importance of a basic idiosyncrasy of Koreans as a whole and the training of the youth to mobilize Heung Sa Dahn. After the Yun, Bong-gil incident, he was arrested while keeping a promise to visit a man. He was taken back to Korea for standing trial, where he was sentenced to four years. This was when he famously answered back to the Japanese court. The court asked Dosan if he would still continue the Korean independence movement. Dosan quickly and boldly stated: “Whether I eat or sleep, my single-minded vision is Korean independence. There shall be no flip-flop for my people.” This shows Dosan’s unwavering personal integrity and work ethics. In 1935, Dosan was released from prison. Even under the watchful surveillance by the Japanese police, Dosan travelled across the country to deliver the enlightenment speech to the people. In 1937, he was arrested again over Soo Yang Dongwoo Hoe matter. During his imprisonment, his physical condition grew severe and he was released on bail. However, Dosan passed away on March 10, 1938 at the age of 60 without ever regaining his health again. In 1962, the South Korean government posthumously recognized him with the Order of Merit of National Foundation / Republic of Korea Award for his unceasing and utmost sacrificial dedication and loyal contribution toward the fulfillment of the Korean national independence movement.